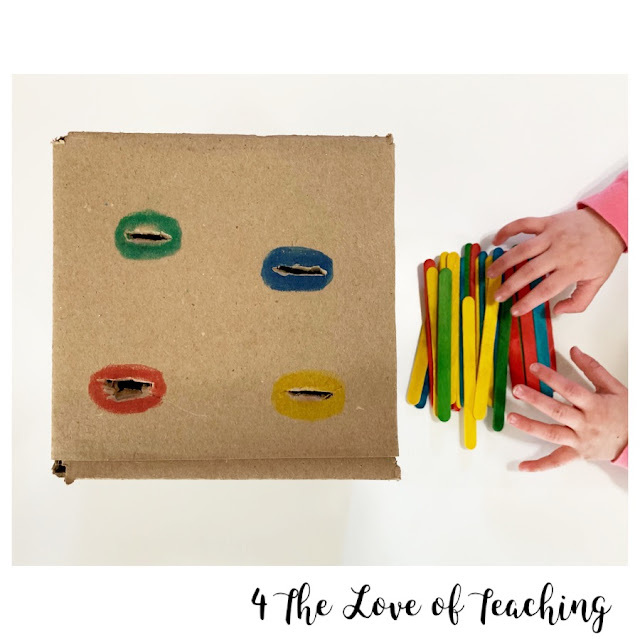 I'm back to share a few activities that we have done lately to work on colors! We are working so hard on sorting and matching colors, as well as naming colors. 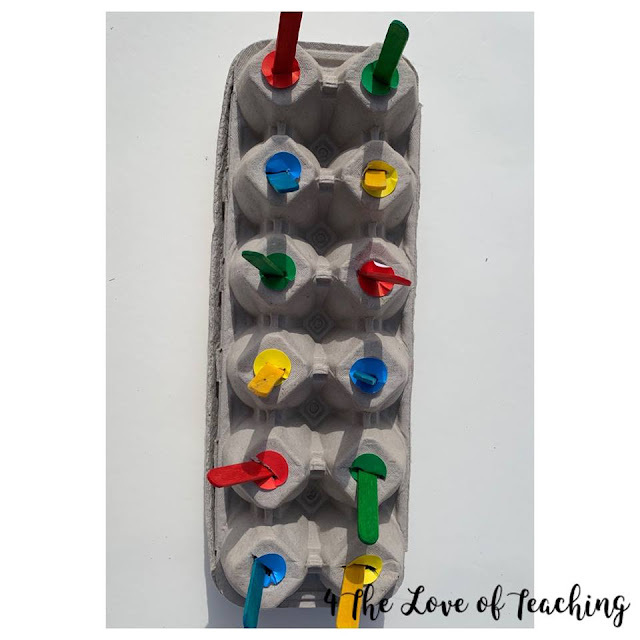 Activity 1: This is such a simple activity to create at home and cost less than $3 total. The goal is to work on fine motor skills while matching colors! 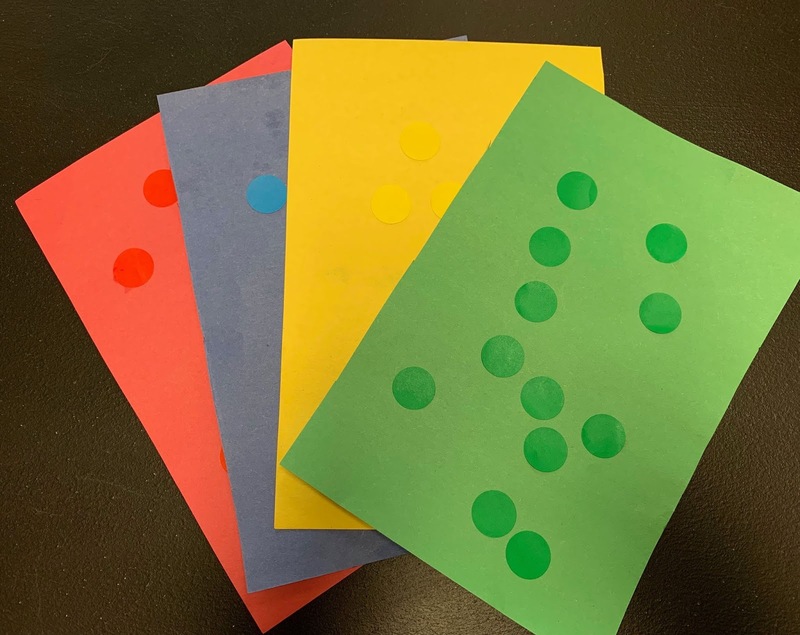 Activity 2: This activity uses dot stickers, which are seriously the best! We use them all the time. We actually did activity on the go in a waiting room. It's perfect to add to a busy bag for on the go, or to do at home! I just laid out construction paper and had my girls match the dot sticker to the paper. 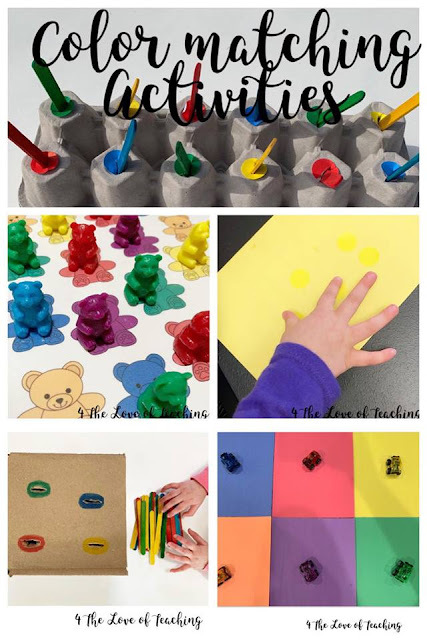 So easy and it works on colors and fine motor skills with the stickers! 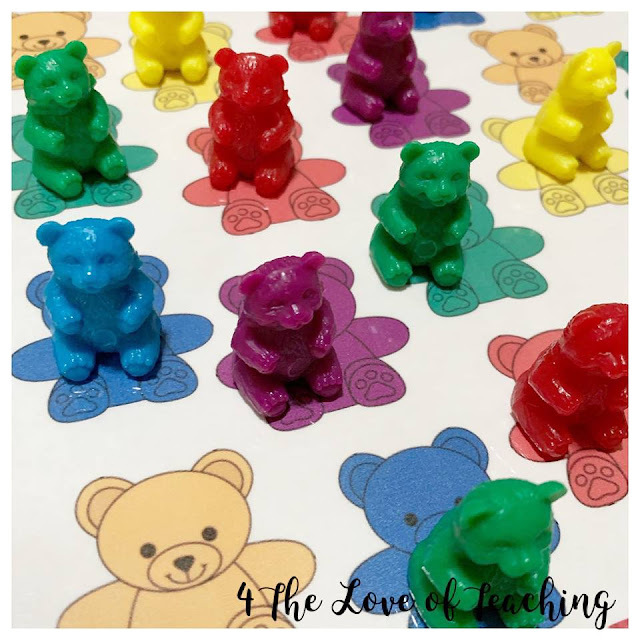 Activity 3: For this activity we used our counting bears to match colors using a printable from Life Over C's. I printed and laminated the sheet and we placed the bears on top matching colors. There are so many ways to use counting bears - counting, matching colors, patterns, etc. Activity 4: This activity comes from Kelly at Lattes and Lunchrooms. 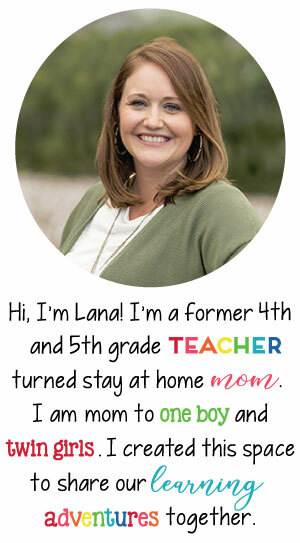 She is the sweetest and I always love to see what she is teaching her girls! 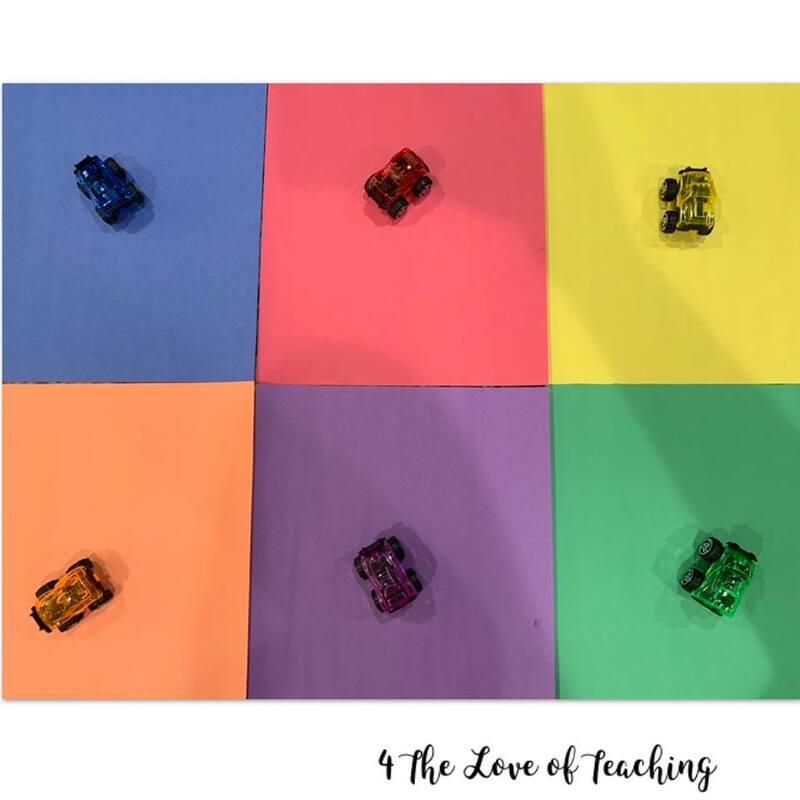 For this activity, the child drives the colored car to the matching construction paper. She shared it on her Instagram and I just had to pick these cars up to try it. My two LOVED this activity. We started with the papers close, moved them apart, and eventually spread them all over. So fun! Activity #5: This activity also comes from Kelly at Lattes and Lunchrooms! Told you she was awesome! 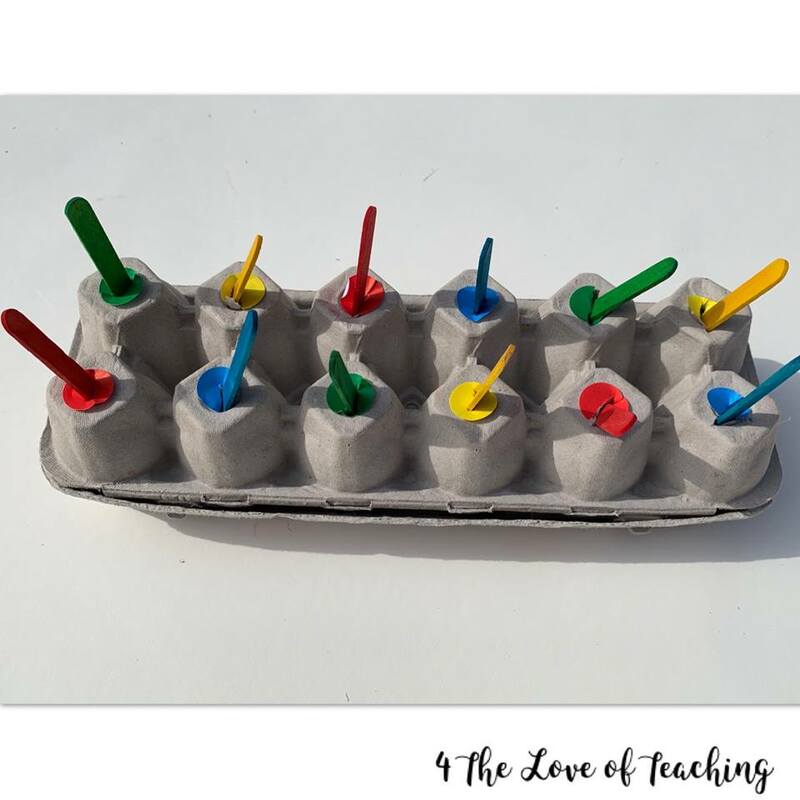 She used dot stickers on an egg carton and had her kiddos match colors using popsicle sticks. 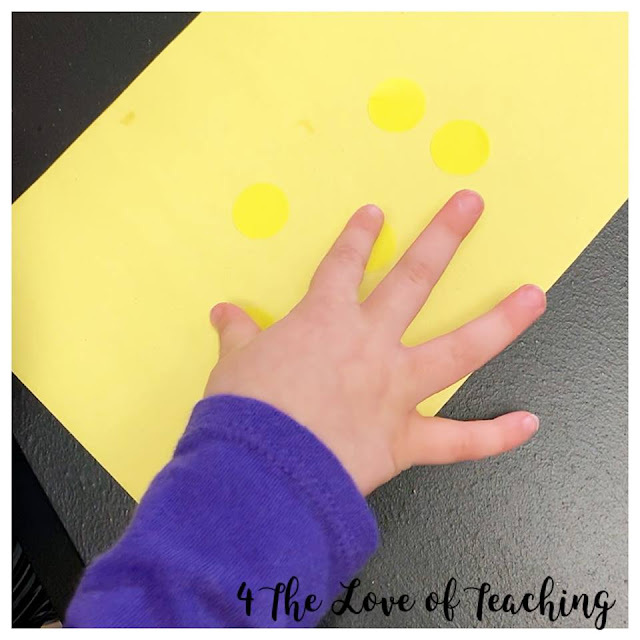 Fine motor and colors - it's a win, win!